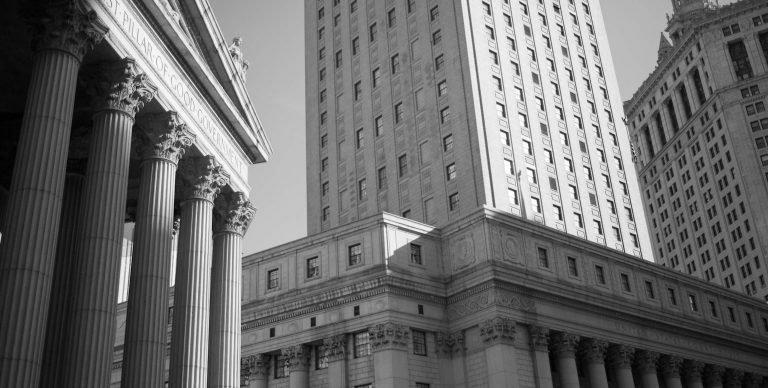 Our firm regularly represents clients in high-stakes trials in state and federal courts throughout the United States, as well as in jurisdictions around the globe. We are often retained by clients shortly before trial to help secure victory in their most important disputes. Rather than specialize in any industry or discipline, we handle all kinds of cases focusing only on one thing: winning high-stakes disputes, whatever the circumstance or situation may be. We have successfully represented plaintiffs and defendants in complex commercial cases and trials concerning banking and finance, regulatory matters, international disputes and arbitration, securities litigation, complex commercial litigation, patent cases, copyright cases, criminal defense, and art-related disputes, among other areas. Clients who have lived through a trial know that trying cases — and properly preparing cases for trial — is a specialty of its own. Because we believe in our ability to win, we also bet on ourselves: whether we represent plaintiffs or defendants, we typically try cases on a success-based fee. In our clients’ bet-the-company cases, we take the bet with them. We successfully represented a major investment bank in a high profile litigation involving the sale of subprime securities. We secured the dismissal of a multi-billion-dollar claim asserted against a hedge fund manager arising from an alleged short-selling conspiracy. We secured a trial verdict dismissing claims brought against our client by a co-investor in a solar energy company.